The Dow Jones Industrial Average recently experienced the largest single-day drop in history, but it bounced back relatively quickly. Ever since then, the markets have been swinging up and down so much that some economists have wondered whether a recession is on the horizon. For the average American who’s saving for retirement, this economic news probably sounds terrifying. Saving for retirement is hard enough, now we have to deal with crazy market fluctuations, too? Fortunately, there are several ways you can protect your retirement nest egg in the midst of a volatile economy. One of the biggest retirement planning mistakes people make is contributing inconsistently to their 401K or IRAs. Too often, our short-term goals cloud our judgment and saving for long-term goals like retirement gets pushed aside. After all, humans are cognitively programmed to seek immediate gratification. But, this strategy can lead to big problems later on. This is, perhaps, even more important when the market is volatile. It may seem counterintuitive to keep putting money into the stock and bond markets when they’re experiencing wild swings, but the fact of the matter is that, over the long run, investments grow in value in spite of short-term losses along the way. Even if the current market’s volatility and economists’ warnings of a potential recession in the near future make you nervous about investing, try your best to remain consistent in your contributions for best results. 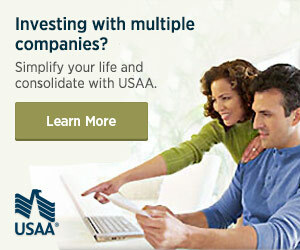 If you’re looking for places to invest, you might want to check out investing with Betterment or Stash Invest. Both are great options for people looking for easy ways to get started investing. What constitutes appropriate risk for a 20-something saving for retirement is vastly different for what might be an appropriate amount of risk for someone on the verge of retiring. While those who are under 35 can pursue considerably more aggressive retirement investment strategies, those who are in their late 40s and 50s should scale back on the riskiness of their portfolio to stay on track. Especially in a volatile market, you want to pay close attention to the amount of risk your portfolio has. If you’re mostly invested in stocks in your 40s and beyond, then you run the risk of having to postpone your retirement date if a serious downswing or even recession occurs. Of course, you don’t want to panic and reallocate everything into low-interest bonds either. So, speak with a professional to determine how much risk is ideal for your age and retirement goals. We’ve all witnessed the tremendous rise, and several falls, of Bitcoin and other cryptocurrencies recently. While trendy and unusual investments may offer incredibly high returns for investors willing to accept the risk, your retirement shouldn’t be put on the line in hopes of joining the tiny club of cryptocurrency millionaires. More likely than not, you could lose a great deal of value in your portfolio if you allocate too much money towards high-risk investments like cryptocurrencies and junk bonds. These types of investments are simply too risky for the average investor to put any significant amount of money into, particularly anyone who is saving for something as important as retirement. There have already been some stories about people who lost a ton of money in their retirement accounts by investing in digital currencies like Bitcoin. So, avoid becoming another tragic news story by sticking to safer investments with decent returns, like mutual funds. Humans aren’t perfect and while robots aren’t exactly flawless either, they could still offer some advantages over human advisors. For instance, the robo-advisor Betterment allocates its investors’ money into different funds based on an advanced algorithm that some financial experts say is superior to a human advisor. Robo-advisors also tend to charge lower fees than human advisors. This can save you quite a bit of money over the long-run when it comes to retirement planning. There is no perfect solution for retirement savings, and volatile markets pose a serious challenge to even the most fine-tuned algorithms. We simply can’t predict how the markets will swing on any given day, and even noneconomic factors like natural disasters and geopolitical conflict can influence the markets. One great resource to manage your 401k retirement plan is blooom. Let the experts at bloom take a free peek at your 401k. Get real advice on how it’s doing and how it could be performing better. When you become a member, blooom then makes trades to optimize your account based on your goals. Blooom can manage your 401k, 401a, 403b, 457, or Thrift Savings Plan (TSP). Blooom a great service! I highly recommended. I’ve been using it for over a year now! Check out my full review of blooom. Ultimately, by adjusting your risk, consistently contributing to your retirement fund, and diversifying your investments as much as possible, you’ll be in a much better position to meet your retirement goals, in spite of market fluctuations.